The Empty Glass is Throwing Us a Party! Food provided by Bluegrass Kitchen, Sam’s Uptown Cafe, Chow Thai, Bricks and Barrels, Gonzoburger, Sarah’s Bakery, Adelphia Sports Bar and Grille, and Mi Cocina de Amor! Other sponsors include Rock Lake Tattoo Co. and Behind the Backdrop. $10 gets you an evening of amazing music and food. We’ll also have a silent auction/ raffle and special Fairness merchandise for sale! 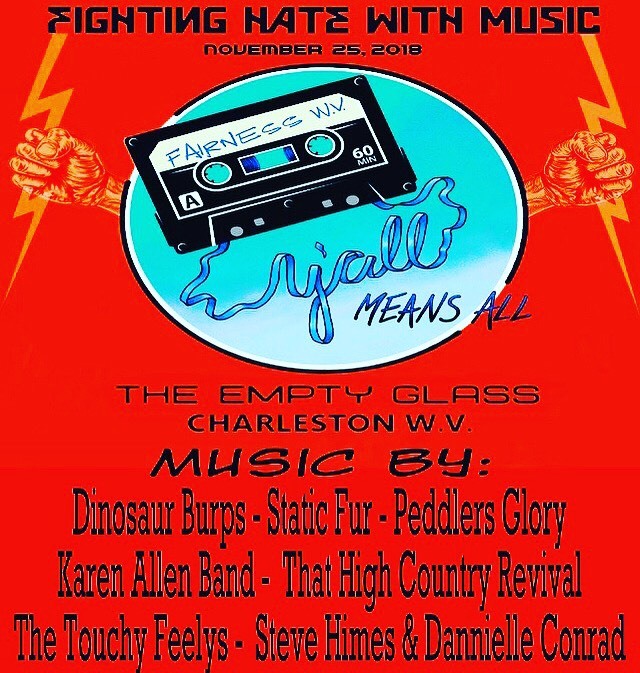 All proceeds will benefit Fairness West Virginia. We can’t wait to see y’all there!